We take a lot of pride in the quality of our windows & doors and we want them to arrive with you in great condition. 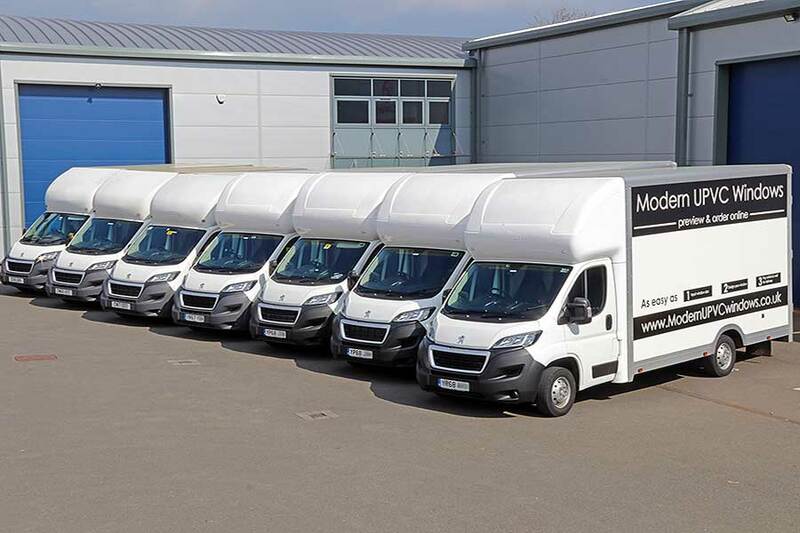 Therefore in most cases we use our own vehicles and drivers to ensure that no delivery problems occur. Delivery times are 8am to 8pm, a time slot will be given the previous working day by SMS & email. Please be present on delivery, your signature and assistance is required. Everything is supply only, manufactured to order, please check thoroughly before installing, we cannot be held liable for any installation fees under any circumstances. Our products are manufactured at our purpose built factory in Hinckley, Leicestershire (except Composite and bi-fold). The delivery charge depends on the distance.